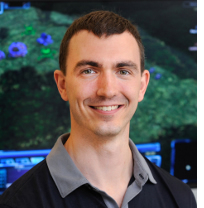 If Dr. Chris Hazard had the ability of time travel in the past, would he have fast-forwarded to today to see the attention his real-time strategy game Achron is attracting from not only the gaming industry, but even the United States military? “I’ve always had an entrepreneurial spirit and my dad had his own business, so I think it was inevitable that I became an entrepreneur,“ Hazard said as he reflected on his successful software company Hazardous Software, and how its signature game Achron is changing the landscape of gaming’s past, present and future. Achron, just released in August 2011, is set in a futuristic war between humans and aliens. It adds the key element of allowing players to rethink their strategies and even replay the scenarios to create different outcomes. 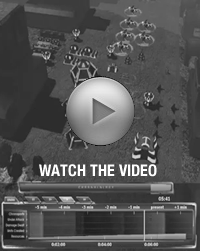 This option gives the player a real-time opportunity to see how strategic thinking can change the outcome of events and timelines. With this type of freedom to have a “do-over,” gamers are rethinking their games of choice these days, as Achron receives rave reviews from players and industry insiders. When choosing NC State for his PhD work, Hazard put very serious thought into the faculty members with whom he wanted to work. After leaving the software industry to pursue his studies, Hazard knew a top quality education, guided by outstanding computer science professors, would enable him to make his “professional hobby” of developing Achron, into a reality. While at NC State, Hazard also gained experience as an instructor, developing and teaching E-commerce courses for the university. He credits his advisor for making a large impact on his educational path. “The right advisor makes all the difference in your educational experience and NC State gave me the best match possible,” Hazard said. What would Hazard say to students looking to the future without the option of time travel to help them with decisions on education?